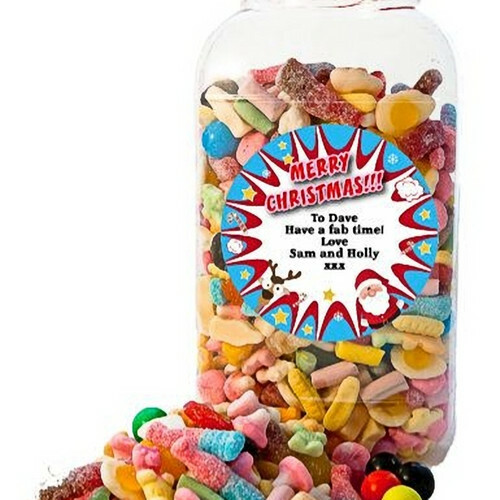 Personalised Whopping Penny Mix Jar - Who can forget the joy of walking into your local sweetshop and choosing your favourite penny sweets? 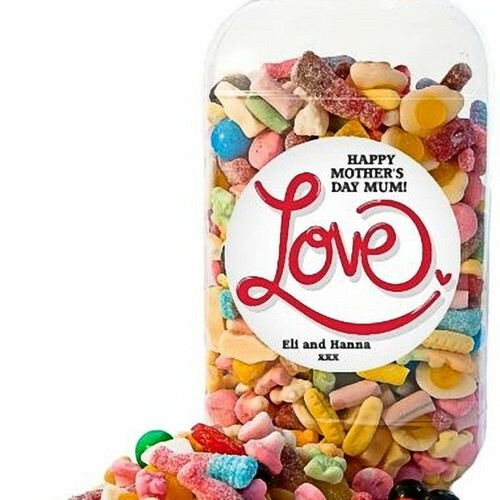 We can't, so we thought we'd fill a giant 4.5 litre jar (that's BIG) with a selection of scrummy penny sweet favourites! Genius! We'll always include a good selection that will take you back to the good old days, and this huge sweetshop jar will keep you (or the lucky recipient) going for ages and ages and ages! Hoorah! Each jar measures a whopping 29cm (height) x 15cm (width) and weighs 2.7kg... it's brilliant! STOP PRESS: You can now personalise your Whopping Penny Mix Jar FREE with stunning, glossy label to which you can add your own special message.